Watch the best of the action from St Mary's. Watch our 90-second highlights from St Mary's. Watch Charlie Austin's post-match reaction after his early goal was cancelled out by a late Arsenal leveller. Watch Mauricio Pellegrino's post-match reaction as Saints draw with Arsenal. Striker admits feeling of two points lost after late Arsenal fightback. Mauricio Pellegrino reacts to the 1-1 draw with Arsenal. Southampton boss on test posed by Arsenal this weekend. Saints boss relishing Arsenal clash. Get set for the visit of Arsenal to St Mary's. Can you remember the squad from Saints' famous win over Arsenal. Watch the Saints boss speak with the written media. Our photographer's best images from Friday training. Saints boss Mauricio Pellegrino looks ahead to Sunday's Premier League clash. Steven Davis is our latest programme cover star. Get all the key numbers and facts ahead of Sunday's game. Important travel information ahead of Saints' clash with Arsenal. Tickets for Saints' home clash with Arsenal now on sale to all supporters. Secure a seat for the home clash with the Gunners. It's all over at St Mary's. So close to three points for Saints, who led for virtually the entire game thanks to Charlie Austin's third-minute opener, but Olivier Giroud comes off the bench to head home a painful equaliser for Arsenal two minutes from time. Ward-Prowse swings it in right on top of Cech, but the keeper does well to punch under pressure from a host of bodies. Still driving forward, Bertrand wins a corner. Can we win it? There will be four extra minutes as the visiting fans roar their team forward, sensing a winning goal. Saints are just trying to slow things down for the moment. Final change for Saints before the game resumes, as Davis comes on for Tadić. Saints have looked solid throughout, but they've finally been broken down. Sanchez finds space to cross from the left and picks out Giroud, who finds the net with a glancing header just inside the far corner from eight yards. Second change for Mauricio Pellegrino, who introduces fresh legs up front in the form of Gabbiadini. Off goes goalscorer Austin to a standing ovation. Sanchez steps up and hits it well, but Forster launches himself to his right and parries the ball to safety. Saints launch another counter and it's two on two, but Boufal's pass through the defence to Austin finds the striker offside. Stephens goes into the book to even up the card count. Ward-Prowse delivers the set-piece from a fairly central position and drops the ball in behind the Arsenal defence, but it's just too far in front of the incoming van Dijk. Boufal gets away from Bellerin, who clearly upends the Moroccan to concede a free kick. First change for Saints, as Boufal comes on for the industrious Redmond. Third and final change for the visitors, as Giroud replaces his compatriot up front. The Arsenal fans don't seem best pleased to see Lacazette taken off. Seemingly a like-for-like change in the middle of the Arsenal midfield as Wilshere replaces Xhaka. The visitors might be enjoying the majority of possession and pressure, but Saints have created the best of the chances in the second half. Monreal tries to haul Arsenal level with a curling shot from 20 yards that flies just wide - a little too close for comfort. What a superb piece of play from Bertrand. He makes an overlapping run to chase Redmond's lofted ball, and then finds himself through on goal from Tadić's clever reverse pass. With Cech advancing, the defender tries to dink it over the keeper but the ball drops agonisingly wide of the far post. It's an attacking change from Arsène Wenger, who appears to be switching to a back four as Welbeck comes on to add more firepower. Another counter-attack led by Redmond sees him feed Tadić, but with Austin lurking in the danger zone the Serbian's cross is easily caught by Cech. Saints need to make the most of opportunities to counter-attack and that was a positive piece of play from Redmond. The winger makes good ground down the left and combines with Tadić. He hits a shot sweetly from 25 yards, but it's straight into the arms of Cech. Arsenal for once find some space down their left, but two Saints players converge to halt the attack as Kolasinac surges into the box. It's been more or less constant Arsenal possession since the restart, but they can't find a gap in the Saints defence. It could be a long second half if this pattern continues! The second half is up and running at St Mary's. Can Saints convert their advantage into victory? So far so good for Saints, as Charlie Austin's third-minute goal separates the sides at the break. Saints flew out of the blocks and created other early chances, but have had to stand up to more Arsenal pressure later in the half. Forster saved brilliantly from Ramsey, which was the Gunners' best moment. Just another 60 seconds to be played at the end of the first half. Saints have been excellent, but Arsenal have improved as the first half has gone on. Can we keep it tight and get through to the interval ahead? 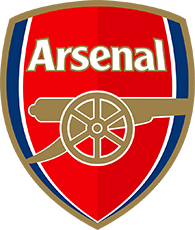 Arsenal threaten to profit from a very similar move, as this time Bellerin plays it in low for Lacazette, but Yoshida thunders into a tackle and does enough to put him off as the striker shoots high over the crossbar. What a save from Forster! Sanchez plays in a low cross from the right that Ramsey strikes first time. It's a great effort from the Welshman, who hits it cleanly, but Forster reacts instantly to keep the Arsenal man at bay with a brilliant stop down to his left. Ward-Prowse swings in a free kick that's parried by Cech for a corner, before another wicked Ward-Prowse cross is nodded back into the danger zone by Redmond, nearly causing an own goal as it deflects off Xhaka and Cech makes the save. Arsenal are starting to come into the game now. Ramsey controls the ball on his chest and swivels to shoot, but it's another routine stop for Forster, who gratefully falls on top of it. Charlie Austin lifts the ball over the advancing Petr Cech to give Saints an early lead against Arsenal. Saints win a corner, but when Arsenal clear the danger they attack with real purpose. Sanchez leads the breakaway before Lacazette exchanges passes with Bellerin, but back comes Højbjerg to get a crucial foot in just as the Frenchman prepares to shoot. Arsenal have finally registered their first attempt on goal as the ball drops for Lacazette in the box, but his shot on the turn is tame and easily gathered by Forster. Another slick Saints move sees Bertrand attack down the left and deliver a low cross for Austin, who slides in and strikes the post, but the flag was raised in any case. The striker was offside and it wouldn't have counted, but it's another reminder to Arsenal not to leave the red-hot striker in space! Saints have flown out of the blocks, as Austin races clear on goal only to be denied by Cech, who makes a stooping save down to his right. Arsenal's defence is wide open and Saints look sharp! What a start! Tadić plays the ball in behind the Arsenal defence for Austin, who takes a touch and finishes in clinical fashion to beat Cech. Get in! Arsenal have got the game started and Tadić is caught offside from the game's first attack. It's a chilly day at St Mary's, but Saints have been put through their paces to limber up for the game. Kick-off is in 15 minutes! every single game you have to fight to score goals. we need to continue creating the chances. when you play against this side you have to be excellent in all areas. Jack Stephens makes his first start for three months as Mauricio Pellegrino makes four alterations to his starting XI. Maya Yoshida, Pierre-Emile Højbjerg and Nathan Redmond are also recalled following the 1-1 draw at Bournemouth last weekend. southampton are an offensive team with offensive potential. they have charlie austin back now, and of course players like tadić, redmond and boufal who are all strong offensively. they have a good technical level as a team and both sides can create chances, so there should be goals. Starting XI: Cech, Koscielny, Mertesacker, Monreal, Bellerin, Ramsey, Xhaka, Kolasinac, Ozil, Lacazette, Sanchez. Subs: Ospina, Maitland-Niles, Coquelin, Wilshere, Iwobi, Welbeck, Giroud. Starting XI: Forster, Stephens, Yoshida, van Dijk, Bertrand, Romeu, Højbjerg, Ward-Prowse, Tadić, Redmond, Austin. Subs: McCarthy, Hoedt, Pied, Lemina, Davis, Boufal, Gabbiadini. Who would you like to see lining up for Saints this afternoon? We'll have full team news from St Mary's at 11am GMT. Watch the players arrive at St Mary's ahead of today's game with Arsenal. Kick-off is at midday GMT. Our cameras were at Staplewood to capture the players in training ahead of today's game. Watch the best bits of the session here. this week, with arsenal, and games against leicester and chelsea as well, it's another difficult week, but i feel we have enough of a squad to compete well. Last time out at St Mary's, Southampton ran out convincing 4-1 winners over Everton. Can Saints make it back-to-back home victories today? Here's how you can keep tabs on the action. We spoke with Mauricio Pellegrino in his office on Friday afternoon. Take a look at our interview with the Saints boss, as he discusses the showdown with the Gunners.